I'm the hostess for this challenge. I love using monochromatic colors it gives you a very subtle yet beautiful look. 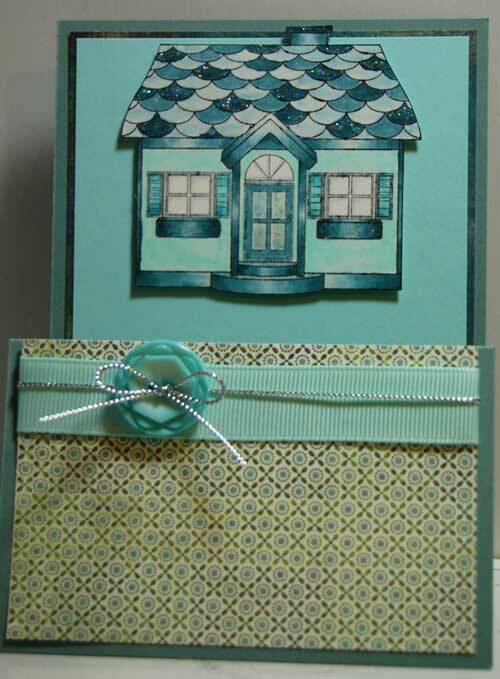 I decided to use the new HOUSE stamp for this project, and a different type of fold on my card. I also picked a color that went well for winter. Enjoy and come back and check out my teammates take on this challenge. 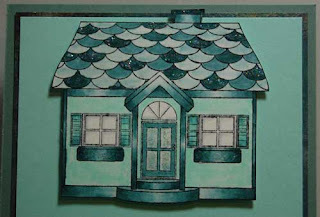 Love all the shading on your Gilli House!! Great job Dionne!! Beautiful card! I love how you did the roof. Great coloring ! 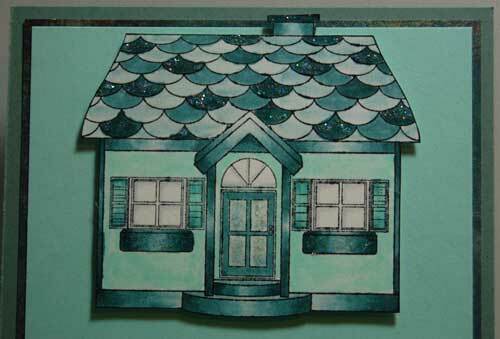 Love yr idea to use the house stamp. Lovely card Dionne! So winter! 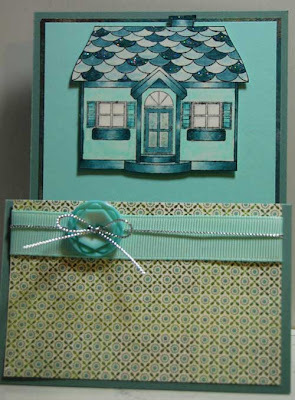 Don't see a linky anywhere but you can find my card at this posting on my blog. Fun challenge! It looks like a great challenge so here is my card.